Complete list of Real Estate and Property Agents in Pakistan 2018. You can find the updated list of Real Estate and Property Agents in Karachi, Lahore, Islamabad, Rawalpindi, Multan, Peshawar, Quetta, Faisalabad and other regions of Pakistan with their address, maps, locations, vendors and consumer reviews. You can also compare the Real Estate and Property Agents here and find the best Real Estate and Property Agents here. You can also find the jobs related to Real Estate and Property Agents here. Real Asset Marketing is a largest and real company who is offering buy sell and renting services to their clients in Karachi and abroad Pakistanis. Innosol company deals in Alternate Energy, Solar Energy, Wind Energy and LED Lighting, CCTV Security Camera, Digital Security Camera, DVR and NVR etc. The Security is an inspiring registered Importer, Wholesaler, Distributor, Retailer, Construction, Engineering, Electronic Security and Automation. VigiSec Solutions (Pvt) Ltd. is a surveillance and security company, Providing services and products such as Bio-Metric Access Control, CCTV Cameras, RFID. Composite Security Services (Private) Limited, is registered security services organization working in the famous area of Lahore Pakistan. They provides satisfactory security services. Security Devices Pakistan is the company located in Abbotabad KPK. They are the well known Security Devices Supplier in the area. Mass International is located in the well known location of Karachi, Pakistan. Company is working in Renovation business activities. Creative Garden solutions is located in the well known location of Karachi, Pakistan. Company is working in Renovation business activities. Ace Aluminium is the company located in Karachi Pakistan and they deals in Deals in Aluminium And Glass Fabrication At lowest Market price. GLOBALINK LOGISTICS GROUP is located in Office #7,3rd Floor,Sajid Shariq Plaza,G-11 Markaz, Islamabad, Pakistan. Company is working in Logistics, Transport, Removals and Relocation business activities. A. MARSHALL PACKERS & MOVERS is located in 16,1st Floor,Adnan Plaza,G-10 Markaz, Islamabad, Pakistan. Company is working in Logistics, Removals and Relocation business activities. AIRWAYS FREIGHT is located in the famous location of Rawalpindi, Pakistan. Company is working in Logistics, Transport, Removals and Relocation business activities. A. GOGA MOVERS is located in Office #12,2nd Floor,Aneeq Plaza,I-8 Markaz, Islamabad, Pakistan. Company is working in Removals and Relocation business activities. AGILITY LOGISTICS (PVT) LTD. is located in Karachi, Pakistan. Company is working in Logistics, Marine services, Transport, Removals and Relocation business activities. 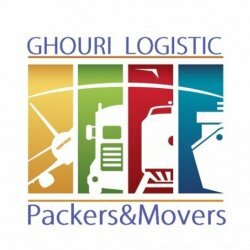 Tranship Packers and movers are packer, mover, cargo agents ,transportation, world wide door to door deliveries, local domestic and international moving and custom clearance. BLUE CHIP BUILDERS is located in Karachi, Pakistan. Company is working in Property development business activities. ALPINE CONSTRUCTION CO is located in Karachi, Pakistan. Company is working in Property development business activities. ADEN BUILDERS & DEVELOPERS is located in Karachi, Pakistan. Company is working in Property development business activities. Evocon is the company located in Karachi Pakistan and it is a construction consultancy company in Pakistan. Baig Real Estate is located in Karachi Pakistan and they are Real Estate Consultant and specialized in Defence and Clifton areas property. Millat Estate is located in Islamabad Pakistan. They are engage in selling and purchase of property and also dealing in renting of houses and flats. MK Associate is located in Islamabad Pakistan and they deals in sell purchase of the property and also deals in renting house. AL-HAFIZ ESTATE is located in Islamabad, Pakistan. Company is working in Property consultants business activities.